Super easy healthy cupcake recipe | Actually so yum! This is officially the best and most easiest healthy cupcake recipe. Like fo realz! Not only do they look adorable, they’re easy to whip up and they taste all kinds of delish. All the boxes are ticked! Woohoo. And can we just pause to recognise the magic of the frosting?! Yes, it’s pink because pink wins. It also wins because zero artificial colouring was used in the process of creating this magic. You can probably guess the icing is flavoured and coloured from fresh strawberries but the secret is adding a teeny bit of raw beetroot. Dayum check out that colour! 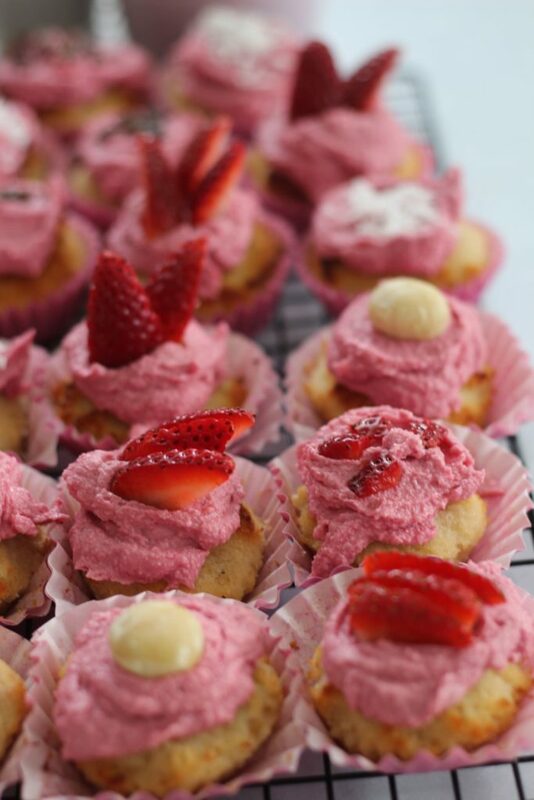 We think the healthy cupcake recipe with magical strawberry frosting is perfect for your next event/dinner/picnic. Ok, also perfect for a 7 year old fairytale themed birthday party. 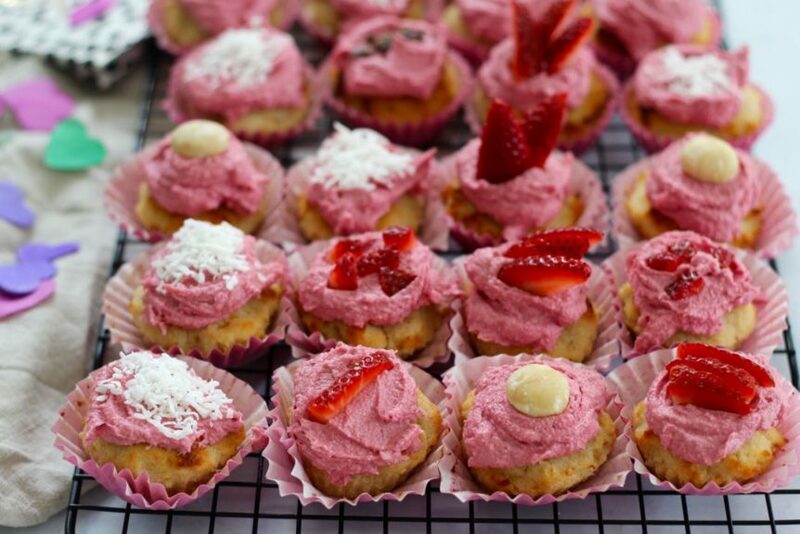 We actually served these epically delish and easy healthy cupcakes the other night at our big Merry picnic. We had the most fun ever! The cupcakes were a hit. We also served the raw choc beetroot cake, which was an equally big hit (maybe bigger). We’ve actually made this beetroot cake like 5 times, it’s getting kinda ridiculous! So yes, can confirm, the recipe is perfect for your next event (regardless of theme and age we say). Seriously how good do they look! Actually impressed with our skills right now. Carla’s baking skills and Emma’s eating cupcake skills. Before we go, can we just talk about cupcake cases for a minute? We always called them patty cans, what is a patty can? Then we googled. And really they are patty cases. Why are they called patty cases? Patty can cases? Cupcake cases? Who bloody knows. Anyway, we vote, make the healthy cupcake recipe! 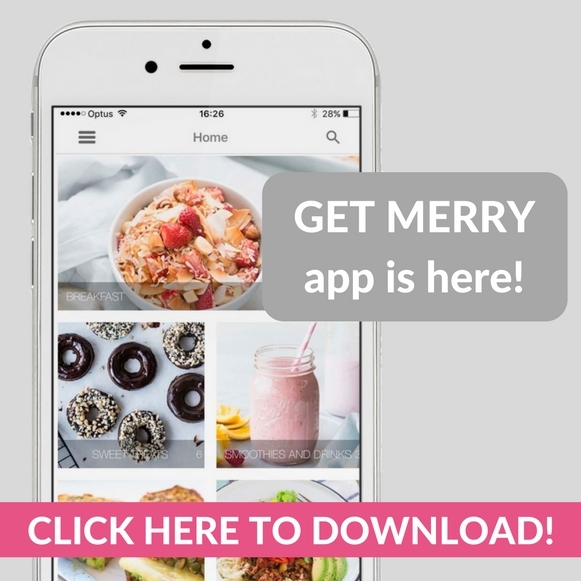 P.s share your pretty cupcakes on social media! Preheat oven to 180°C (350°F) and line muffin trays with patty cake cases (is that what they are even called?). In a large bowl add the almond meal, coconut flour, baking powder and salt, mix well. In your blender or mix master, whiz the coconut milk, rice malt syrup, butter, eggs and vanilla until smooth. It may curdle a little and this is totes ok. You didn't ruin it! Spoon out the batter into patty cases, fill them up to the 3/4 mark. Place into the oven for 20 minutes or until golden and cooked through. Allow to cool before turning out onto a wire rack. In a high power blender or food processor whiz the coconut until buttery. Add the butter cubes and continue to whiz until smooth. Add the berries and beetroot, whiz again! You should have a nice pink colour frosting. Last but not least, add the rice malt syrup and vanilla and whiz on super slow until combined. Spread the frosting onto the cooled cupcakes. Keep stored in the fridge or you can freeze separate cupcakes in the freezer! But these taste best fresh! Add beetroot slowly so you can get the colour and taste right. Boom!